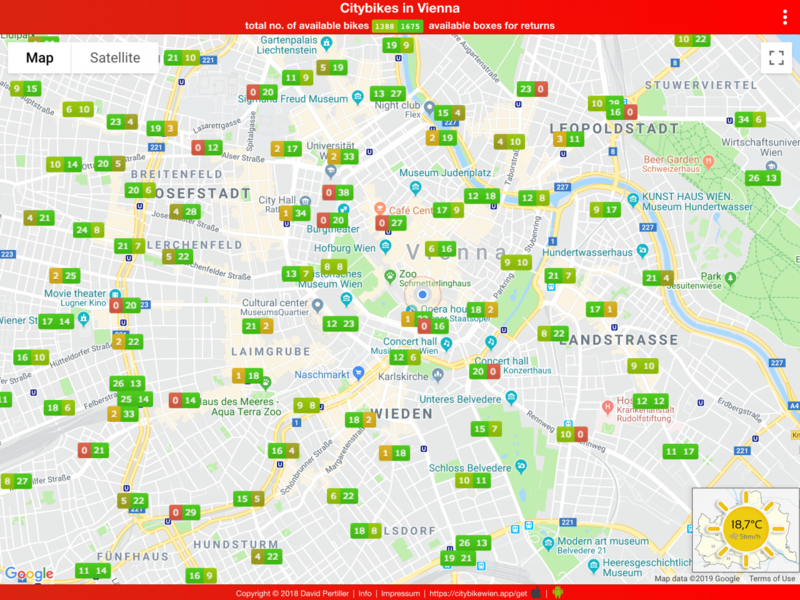 I used Open Government Data to create a time-lapse video showing bike rentals from Vienna’s Citybike stations. There are currently 121 bike stations across Vienna and they’re available 24/7. Stations have a limited number of available bikes and a limited number of available boxes. You can return your bike wherever you find a station with a free box and thus keep the sidewalks free from parked bikes. 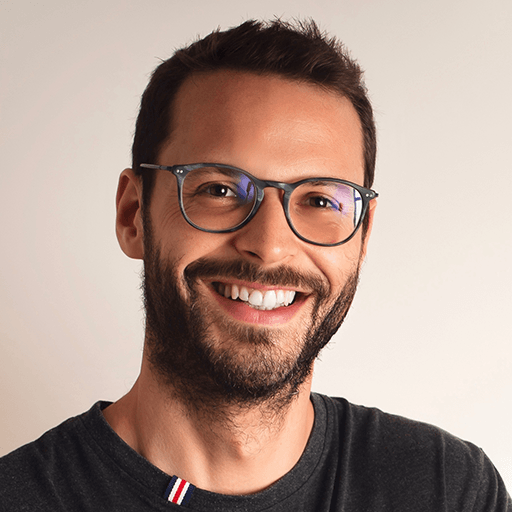 To show you this visualization in action, I crated a video which shows bike rentals on a sunny and calm Saturday afternoon in Vienna in March 2019. Within only one hour, more than 700 bikes were borrowed. At any given time, the most visited station is visualized at the top right. Hot spots like Museumsplatz have up to three rentals per minute, which essentially means that such stations are busy nonstop. In addition to the number of rentals, the app visualizes the utilization of every Citybike station using a heat map. A dark red circle around a station indicates that there were 10 or more rentals or returns at that station within an hour. Telling by the heat map, almost all of the 121 stations were used quite frequently over this short period.